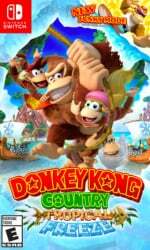 Nintendo games often have little nods to other franchises cheekily tucked away in hard-to-reach areas, giving fans a nice little burst of happiness and pride when they stumble across them, but this little easter egg inside Donkey Kong Country: Tropical Freeze managed to remain hidden for more than four years. Until now, of course. Shared by Shane Marchis on Twitter, the image below shows the spot where a lone Metroid can be found, casually swimming in the background minding its own business for a change. Of course, with Retro Studios being the developer behind both Tropical Freeze, and the Metroid Prime series, this is a lovely little crossover moment that teases the idea of the two worlds somehow being connected. If you're wondering how no one has stumbled across this before, you might want to give the video below a quick watch. 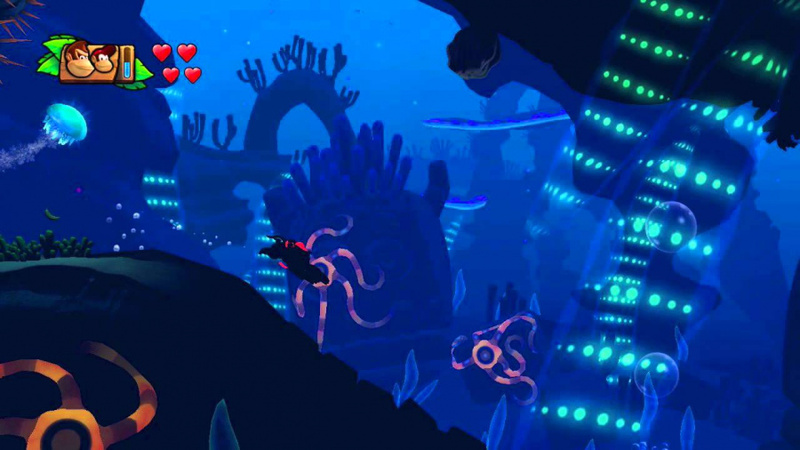 As explained by the folks over at GameXplain, the Metroid can be found in level 4-3 Amiss Abyss, heading past the first checkpoint until you reach the illuminated underwater area. From here, you have to swim forwards out of that area, before returning back again - taking damage along the way - to watch the Metroid float up from the bottom of the screen. The Metroid can be found in both the Switch and Wii U versions of the game. Will you be booting up your copy of the game to try this out? Now I just need someone to find the super hidden Metroid game for Wii U. Already found it. Hadn't realised we were meant to post about it. @gcunit You should know in this day and age, the first person on social media wins. 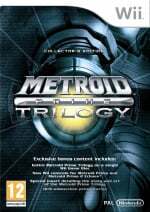 Now what if in the Switch version it was a copy of Metroid Prime 4 instead of a Metroid. This would make for a hilarious inside joke between me and my brother. One time in Smash Bros. Brawl, DK got KO'd in a stamina match. He lay there unconscious, until a Metroid assist trophy came out and latched onto him. What followed was hilarity, as DK started repeatedly doing his animation for when he fell and hit the ground after getting hit really hard in the air. It looked like the Metroid was slamming him into the ground repeatedly. Fantastic, but I like Samus Ship Easter Egg even better as it's pretty much hiding in plain sight, but that's a great one too, nice touch. Prefer Samus’s ship in Busted Bayou. Because that level has the best music. Easter Eggs are a video game thing I was never interested in as long as I play video games. I don´t really care if there is a hint to another game or brand. It´s irrelevant gameplay wise. That’s cool! Now I feel like playing tropical freeze and Prime at the same time. Not that I have this game yet, but there's almost no chance this has only just been discovered aha. I'm pretty sure 99% of people who saw that would go "ahh that's kinda cool" or "was that a Metroid? ehh never mind" and not have a need to post about it online. I thought this was common knowledge as well . That was found 2 or 3 years ago!?! Wreid someone now thinking he is the "hero"
How can I get my own news here? Maye I found the hidden "?" Block in Mario Land and say no one ever found it? I love it. And I love even more that it took nearly five years to find it. A true rarity in the age of the Internet. Hidden for 4 years? I found this years ago and I'm sure plenty of other people have as well. I guess you're supposed to archive your life online. @EasyDaRon Apathy is so endearing. @zocker-hias @gcunit @harrystein @NintyNate Words. I have no reason not to believe you all, but none really to believe you either. At least one person thought this was old, then realized that the little background Metroid was not the old easter egg of the ship. Anyway, congrats if you found it earlier. This guy probably did a search to see if it was posted anywhere and it didn't turn up. Sorta braggy, though. Wow... his parents must be sooo proud. The first person EVER to find this. I mean it's not like a million people played this game already and found this on the Wii U. Give me a freakin' break. Cool I remember the Metroids were in Kid Icarus as well. KILL IT DK! BEFORE IT KILLS US ALL! I knew about Samus's ship, but not this one. I don't normally go out of my way to find Easter Eggs, but they're fun when you do stumble across them! You'd think someone would've combed the files and uploaded its sprite (or model, whichever it happens to be) by now. The power of the dedicated screenshot button on the switch I guess. Most people on the Wii U who found this probably didn't care enough about Miiverese do take a screenshot and post it. On the Switch it is a lot easier and Twitter integration means a lot more people will actually see you "achievement". @retro_player_22 This game universe and that game universe have nothing to do with each other! So don't go around spreading rumors! @Lizuka Universe? What universe, you talking to me kid or the guy in the video? All I show was a cameo reference. @retro_player_22 It's a quote from Kid Icarus Uprising. Viridi doesn't take well to Pit comparing Komaytos to Metroids. I found an easter egg when I was easter egg hunting once. @Lizuka Damn it I kinda skipped out on that one. I kept asking myself I would buy it someday and that someday always got sidetrack. Definitely will check that one out soon. I just love easter eggs like this. If you don't intend on immediately ruining a good secret/surprise you found, then what kind of Internet user are you?! @harrystein Now you are getting it!